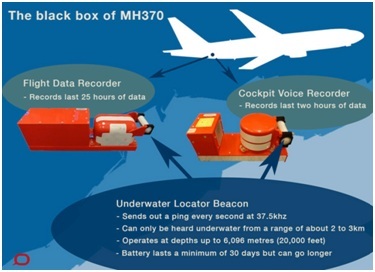 What is ‘Black Box’ ? 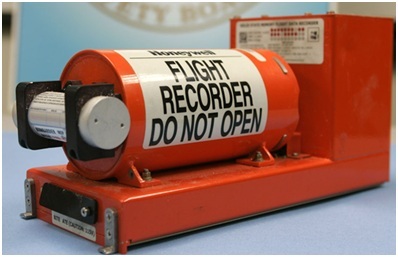 Black Box is also known as the ‘Flight Data Recorder’.The Black Box or Flight Data Recorder of an Airplane is an instrument which records all the activities of the airplane during its flight. Black Box is generally kept at the back side of the airoplane for the security point of view. This Box is made of Titanium metal and is enclosed in a Titanium box which gives it strength to withstand any shock if it falls in sea or falls from the height. In the year 1953-54, in view of the increasing incidences of Air accidents, it was thought to develop a device which can give information about the reasons for Plane accidents and might also help in saving planes from accidents. Hence, a black box was invented. Earlier it used to be red in colour and was known by the name ‘Red Egg’. In the early days, its inner walls were black in colour, so it came to be known as a ‘Black Box’. 15 amazing Science facts that will blow your mind! 1. Flight Data Recorder:- This box can contain information about direction, altitude, fuel, speed, turbulence, cabin temperature etc. About 88 such values for about 25 hours can be recorded. This box can withstand a temperature of about 11000°C for one hour and a temperature of 260°C for 10 hours. These boxes are red or pink in color so that can be found easily. 2. 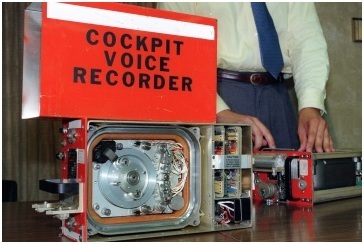 Cockpit Voice Recorder:-This box records the sound of the airplane during the last two hours. It records the sound of engine, emergency alarm, cabin and cockpit in order to predict the conditions of the plane before any accident occurred. As we have already told that the Black Box is made up of a strong metal. It can work for 30 days without any electricity. It can withstand a temperature of 11000°C. When this box is lost anywhere, it keeps on emitting the waves along with a beep sound for about 30 days. This voice can be identified by the investigators from a distance of about 2-3 Kilometers. 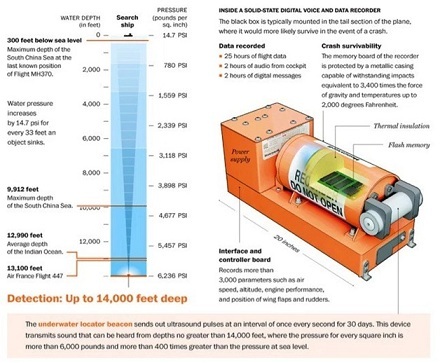 An interesting fact with regard to Black box is that it can emit waves from the depth of 14000 feet in the sea. Though a black box does not reflect a clear picture of plane accidents and in some of the accidental cases it could hardly be found but one fact is for sure that it plays an important role in investigation of plane accidents. Previous Story Do you know that our moon is made up of 20 smaller moonlets? 3322 Views Why is Sachin Tendulkar not included in the ICC Hall of Fame?